Titre(s) Burning / Lee Chang-dong, réal., scénario ; Mowg, mus. 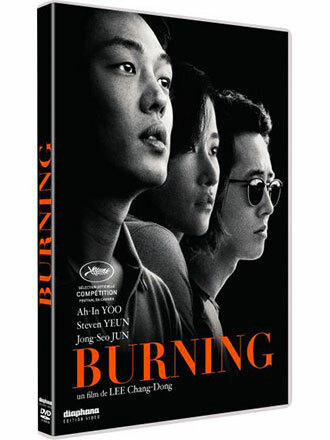 ; Steven Yeun, Yoo Ah-in, Jun Jong-seo... [et al. ], act. Editeur(s) CHATEAUROUX : Diaphana, 2019. Notes Prêt + Consultation. - Titre parallèle : Buh-Ning.